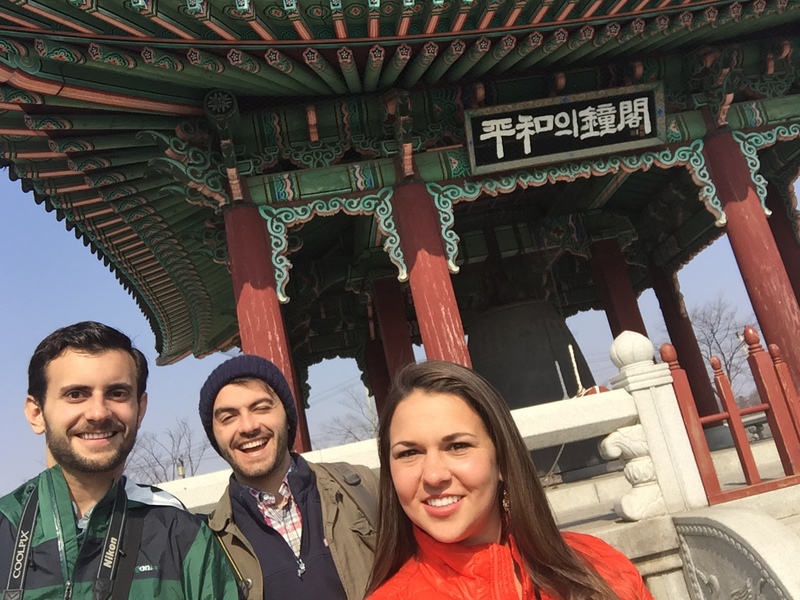 That’s right, we made it in and out of North Korea and are still alive to tell the story! 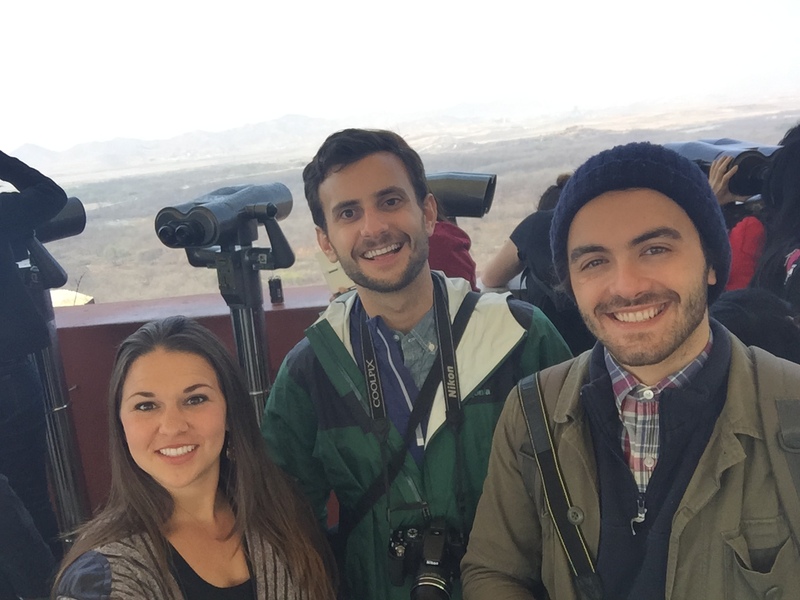 Crossing over the 38th Parallel was no easy task but was every bit as exciting as it sounds. 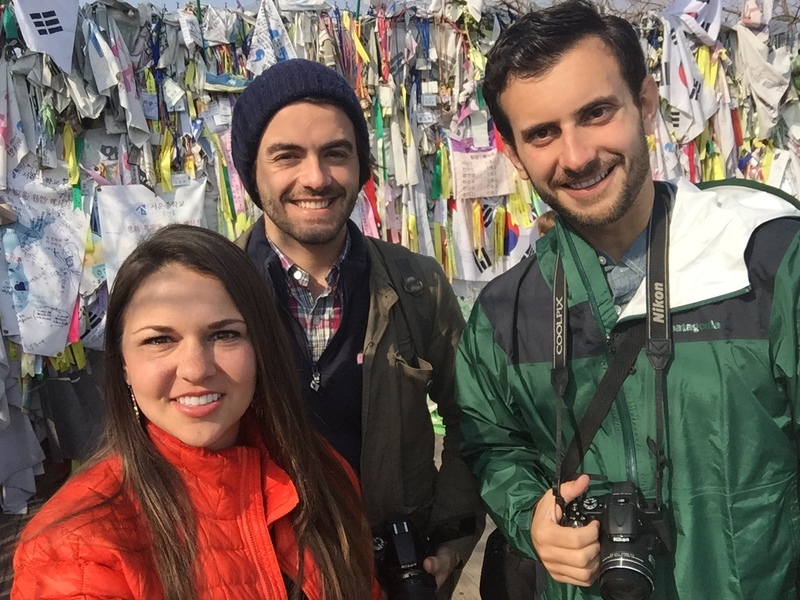 The 38th parallel is only 35 miles from Seoul and it took us about 40 minutes after leaving the city center to cross over into the Demilitarized Zone (DMZ). 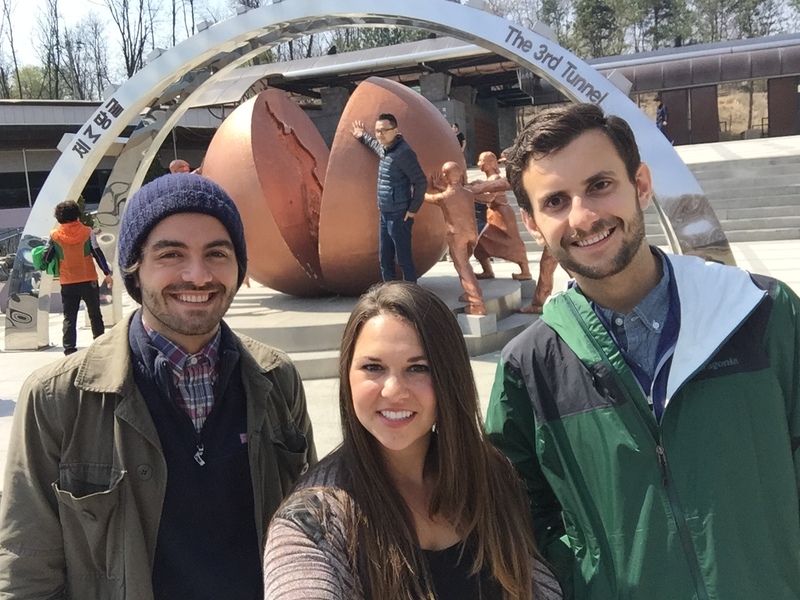 The DMZ spans 20 degrees north and south of the 38th Parallel, the official line that separates North and South Korea. 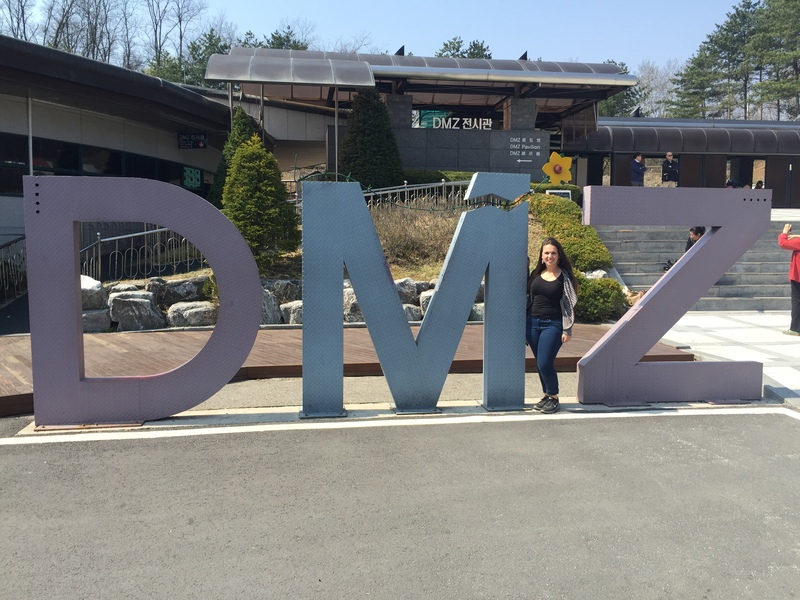 The DMZ was created in 1953 after the end of the Korean War and is still monitored by the United Nations. The zone was created to act as a buffer between the countries and is still considered to be an active war zone because South Korea has yet to sign the peace treaty that was drafted to mark the end of the Korean War. 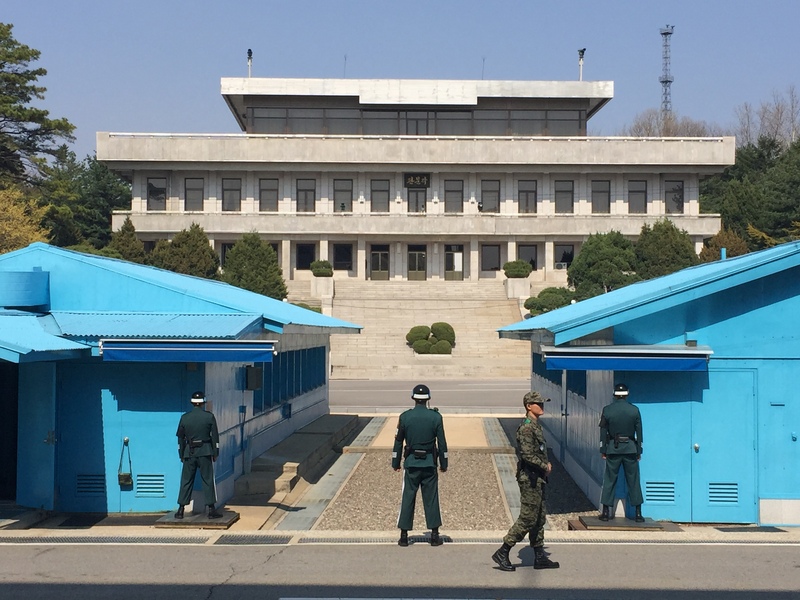 With that being said, no one is allowed to enter the Demilitarized Zone on the South’s side without being registered through the United Nations. 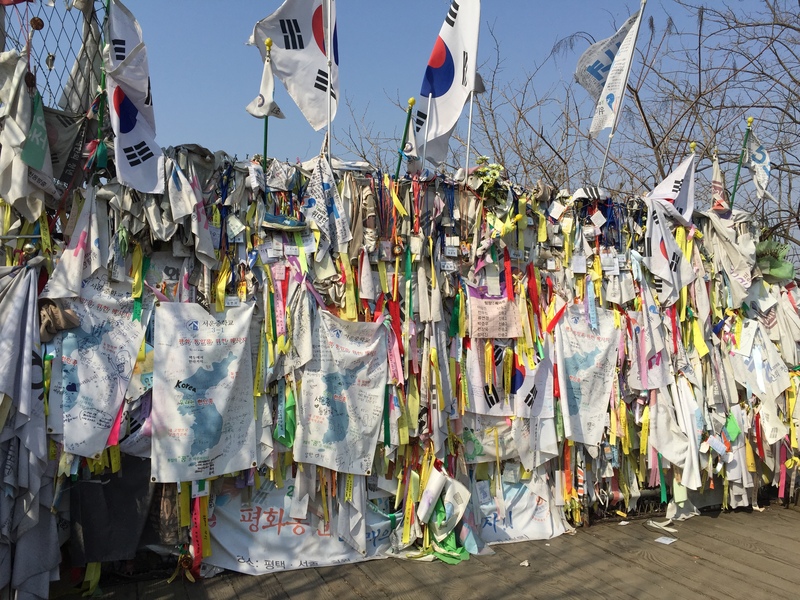 Once we entered the DMZ we first visited Imjingak Park in Paju, where we had the chance to walk, a very short distance, on the Bridge of Freedom. 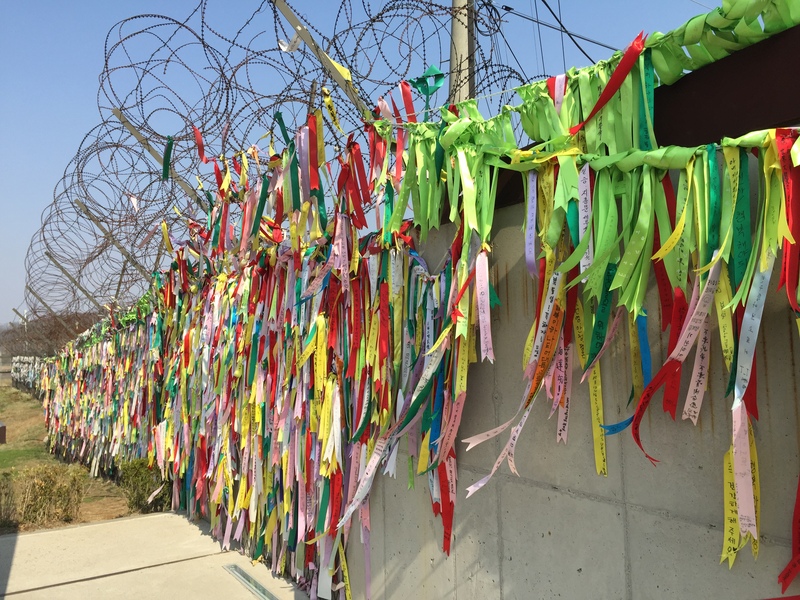 The Bridge of Freedom is a bridge that spans between the two countries and was used to send home nearly 13,000 prisoners of wars by foot into South Korea. 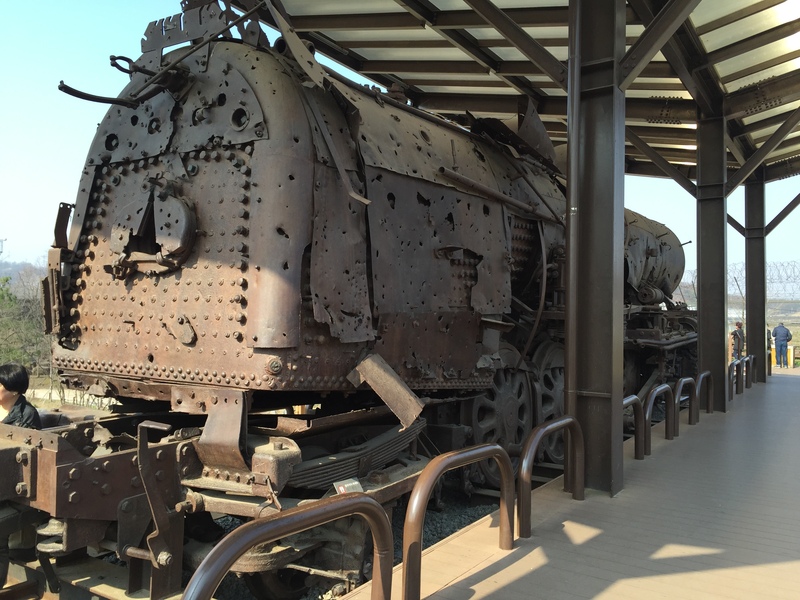 Here we also had the chance to see an old rail cart that was abandoned during the war and is unable to be moved from the zone, or it could be seen as a potential act of war by the North. Here also lies “The Stones of Peace Wall” which is a memorial and sculpture made up of stones gathered from the battlefields all across the world that have suffered and witnessed war. 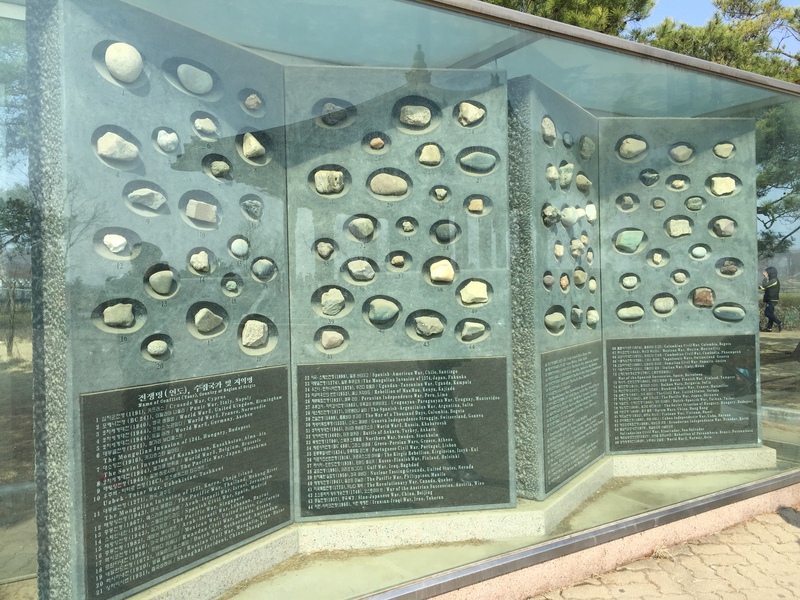 The bringing together of these stones is meant to symbolize countries coming together to support and protect one another and to mark a new era of peace for all mankind. From here we reboarded our bus and made our way to the 3rd Infiltration Tunnel and DMZ exhibition hall. After watching a short and absurd propaganda video about “wildlife” within the DMZ it was time to climb through the tunnel. This tunnel is one of four tunnels that have been discovered in an attempt by the North to attack Seoul. It is believed that there are at least 14 other tunnels that have yet to be discovered. The tunnel was 25 stories underground and it was fascinating to observe the dynamite blows moving in the direction from North to South. After we worked up a sweat on our little hike, we swung by the gift shop and I felt compelled to buy some chocolate covered soybeans, and a decorative bottle of alcohol distilled in North Korea! From here we made our way to the Dora Observatory where we had the opportunity to peer through telephoto lenses and observe the village of Kyongdong in North Korea as we were educated on the different propaganda towns the North has created for satellite imaging for the rest of the world to see. We also learned about the different landscape between the North and South. The North had all of the trees removed to ensure guards have a long, clear sight of the country and so there are no hiding opportunities for anyone who tries to escape. 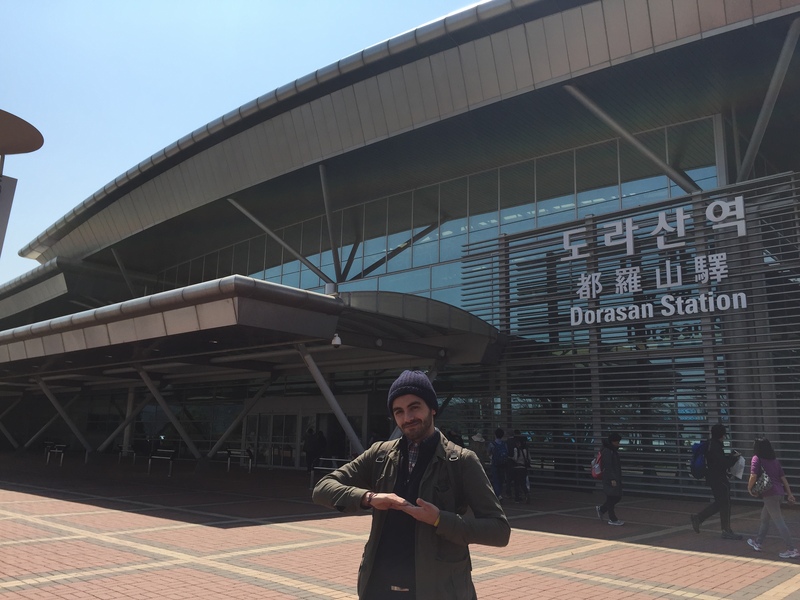 Our final stop before the afternoon, and separate, portion of the tour was to the Dorasan Station. The Dorasan Station was opened in April of 2002 as part of the South’s unification plan. 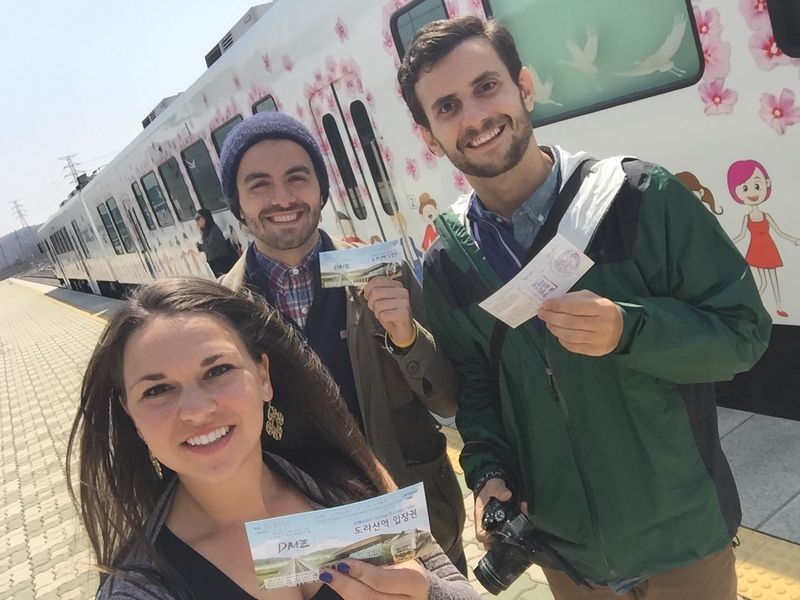 The goal of the station is that one day it will run through the North and be able to connect with the trans-Siberian rail line in a way to create the longest spanning rail line from Seoul through North Korea, across Asia and Europe and end in London. It was finally time to start moving closer to the boarder. 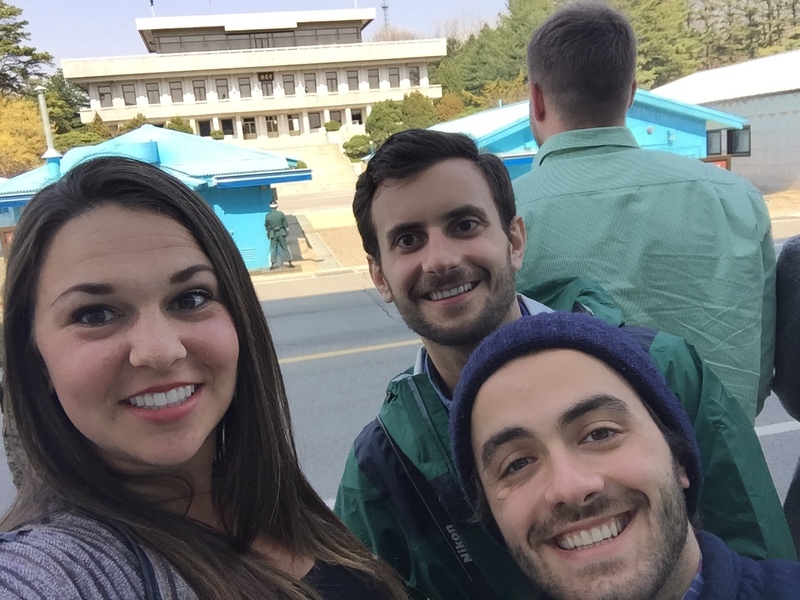 We dropped off the majority of the group because only 500 people a day are allowed to visit the Panmunjom, or the Joint Security Area (JSA). Before reaching the JSA we passed through a small farming community. There are very few families who live in this area because they farm the fields where there are still active landmines from the war. Families who are willing to take this risk are exempt from military requirements and are guaranteed free education. In the middle of the DMZ is the JSA, a site established to conduct negotiations between North Korea and the United Nations Command (UNC). The site is now used for diplomatic dialogue between the two Koreas. 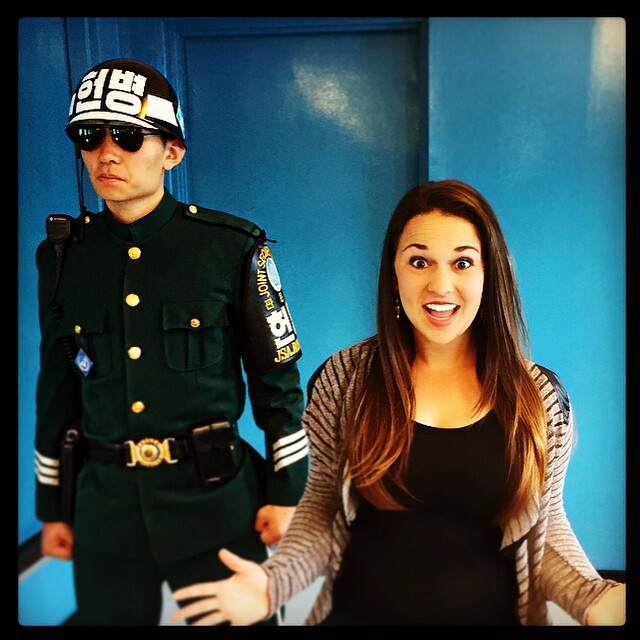 Before entering the infamous blue buildings that straddle the 38th Parallel, we were given specific instructions for how to stand, where to look, when to talk, and pretty much how to act for the next 30 minutes. The North Korea side was filled with hidden eyes, telescopes, and snipers ready to act should someone move to quickly or step out of line. We walked single file into the main conference room that was flooded with microphones that are wired to both the South and North intelligence agencies. It is here where we got to step over the line and stake our claim that we visited the NORTH. Ok, you may think that was a little anti-climactic, but the day really was pretty incredible. I learned so much about the history between the North and the South and my interest really became peaked to want to learn more. Some additional documentaries/books I highly recommend to learn more about life above the 38th Parallel are: (1) Escape from Camp 14 (2) Frontline: Secret State of North Korea (3) National Geographic: Inside North Korea.